Heather Carreiro looks at the 10 places with the lowest cost of living. A year ago my husband and I were living in a posh three-bedroom apartment, driving a 2002 Toyota and eating out twice a week. Now we live in a windowless basement, drive a Volvo wagon with over 260k, and allow ourselves to splurge on a coffee date twice a month. We’re making more money per month now than we were last year, but moving from one of the cheapest places in the world to one of the most expensive places seriously changed our lifestyle. This move made us realize that local cost of living is much more important than the bottom line on any expat contract. Xpatulator quarterly publishes an index of 282 international cities by cost of living. By comparing thirteen different categories including things like the cost of housing, groceries and recreation, Xpatulator ranks the cities from most expensive to least expensive. According to the April 2010 rankings, here are the 10 cheapest international cities in the world. While Harare ranks as the cheapest city in the world, there are numerous reasons why expats and travelers won’t be flocking there. Zimbabwe has a 94% unemployment rate and a major refugee problem due to the country’s financial collapse. In 2008 there was more than 150% inflation and the national currency was eventually ditched for the U.S. dollar. Zimbabwe also scored pretty high on the Transparency.org’s 2009 corruption index with a rank of 146. If you’re not familiar with the rankings, keep in mind that New Zealand is 1 and Somalia is 180. The higher the number, the more corruption pervades every day life. It’s not Beijing or Shanghai, but China’s sixth most-populous city is one of the cheapest places to live. Eating out is inexpensive and you can visit Beijing for a day trip, although the Tianjin expat scene is small and there aren’t really a lot of sights or attractions in the city. For language students Tianjin University offers Mandarin classes. 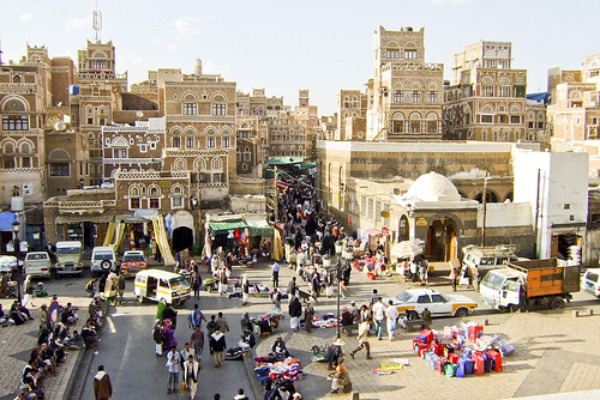 Sana’a, Yemen’s capital, is not only a cheap city to live in but also an excellent place to learn Arabic. Grocery and housing costs are some of the lowest in the world, although opportunities to experience nightlife are limited. Female expats may feel more comfortable wearing a headscarf or full-length black abaya in public, and foreigners may be required to apply for special permits to travel outside Sana’a. Out of these 10 locations, Buenos Aires has the lowest hardship level according to Xpatulator. “Hardship level” refers to how difficult it is for expats to live in certain place. Foreign employees serving in extreme hardship areas can often negotiate higher salaries or special allowances. While Sana’a scores 40% (extreme hardship), Buenos Aires scores 20% (some hardship). Buenos Aires is an excellent place to learn Argentine tango, binge on beef and empanadas, and enjoy the street art scene. But living in Buenos Aires isn’t for “those without street smarts,” as Matador Nights editor Kate Sedgwick warns. Expats need to be prepared to deal with noise, poverty and layers of bureaucratic hurdles. Foreigners can’t sign lease agreements without a co-signer who owns property. 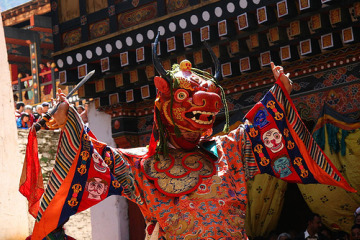 Living in Bhutan’s capital and largest city, Thimpu, is relatively inexpensive. The country still hasn’t developed a large tourism industry, largely due to the fact that foreign tourists visiting the country are obligated to spend $200 per day. Matador destination expert Tim Patterson gives the skinny in The Rucksack Wanderer’s Guide to Bhutan . As an expat you would be able to travel in Bhutan without having to abide by the tourist regulations. Everyday groceries and housing are cheap, but eating out and staying in hotels could run up your monthly budget. Although living in Bhutan is classified as an extreme hardship, the country has the least amount of corruption out of the 10 on this list. It comes in at 49 even beating out countries that are popular with expats like Italy (63), Greece (71) and Brazil (75). Dushanbe has a small expat community, temperate weather and easy access to Central Asia’s Pamir Mountains. It’s a great place to learn Tajik or Farsi, although jobs for expats tend to be limited to diplomatic posts, teaching positions and humanitarian aid work. Colombo is a good base for exploring Sri Lanka and India. You can picture what living in Sri Lanka is like by checking out this photo essay or reading about a visit to a Sri Lankan tea estate. The city has a sizeable expat community, tropical weather and uber-cheap housing, although if you to move to Colombo you must also be ready to experience monsoon season. Cambodia and Tajikistan are tied as the “most corrupt” countries on this list coming in at 158 out of 180, and Phnom Penh is listed as an extreme hardship location. At the same time, Cambodia is a sweet jump-off point for exploring Southeast Asia, and it’s much cheaper to live in Phnom Penh than in any of the region’s other capital cities. Learn what life in Cambodia is like in this video about Getting Around in Phnom Penh or check out this Tales from the Road: Cambodia. Expat and international investor Simon Black recently blogged about reasons to consider Ecuador. Some of the benefits he mentions are quality medical care, low rental costs and excellent fresh produce. At 9,300 feet (2,835m), Quito is also the second highest administrative capital in the world. On the downside, the country is far from politically stable and alcohol can be expensive. 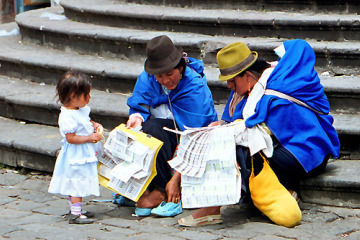 In Simon Black’s words, “Ecuador is great for retirees, hermits, nomads, and internationalists. It’s terrible for hedonists.” It also scores quite poorly on the corruption index – 146 out of 180. Most often featured in the international news as the site of political protests or sectarian violence, Karachi is Pakistan’s most cosmopolitan city. It’s probably the only place in this officially “dry” country where you can attend an all night rave on the beach. Karachi is a major business center, has some top quality hospitals and international schools and is home to a dynamic arts scene. Some expats positions in Karachi require employees to travel with an armed guard, although that is far from the norm for foreigners in Pakistan. If you’re interested in learning more about living in Pakistan, you can check out What NOT to Do in Pakistan and Tales from the Frontier of Expat Life: A Memsahib in Pakistan. Out of these 10 international cities, which ones would you consider living in? If you’re interested in moving to one of these cities but aren’t quite sure what you would do to pay the rent, check out 10 Tips for Becoming a Location Independent Professional and How to Decide if You’re Ready to Work Remotely.